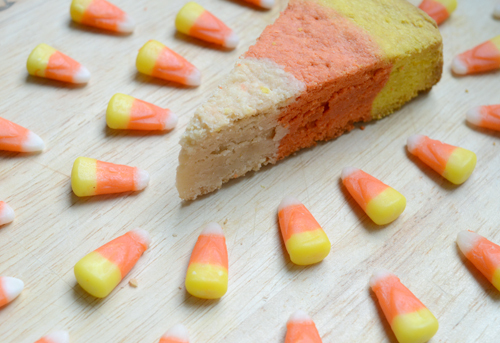 There are two types of people in this world, those who love candy corn, and those who don't. Clearly I like candy corn, but it's understandable that some might not have a sweet tooth like I do. 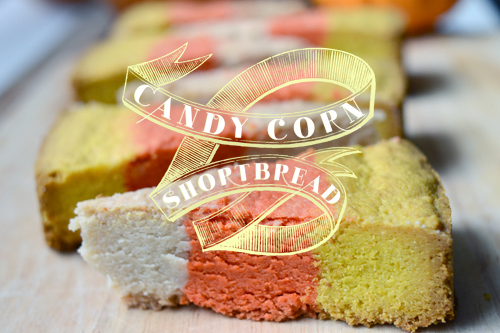 My recent candy corn indulgence is what inspired me to make these shortbread wedges. One thing's for sure, everyone loves a crumbly, buttery shortbread and these "candy corns" are sure to be a crowd favorite. 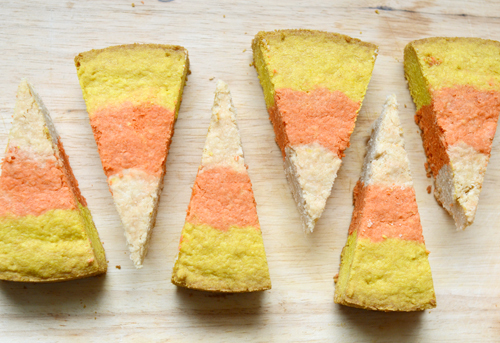 A touch of orange and yellow coloring makes these brown sugar shortbread wedges Halloween ready. Feel free to half the recipe for a thinner shortbread. 1. Pre-heat the oven to 300° F. In a standing mixer fitted with the paddle attachment, mix the flour, cornstarch, salt and brown sugar on low speed to blend the ingredients (about 20 seconds). 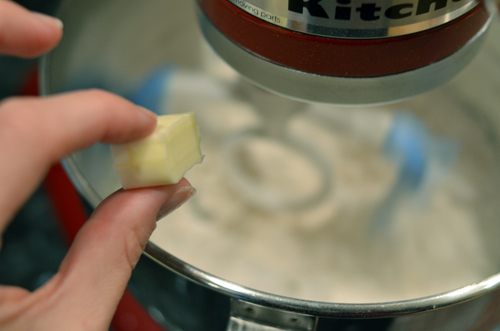 With the mixer running add the butter cubes one at a time, mixing until dough clumps together. 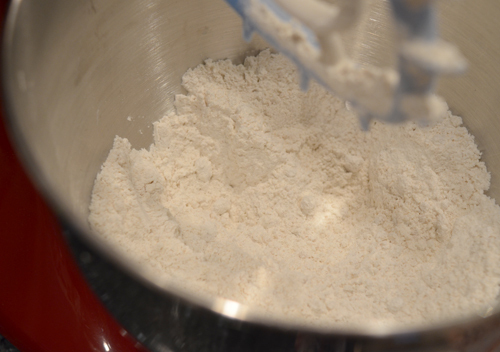 Add the vanilla, mixing until large clumps form and there is no loose flour. Do not over mix. 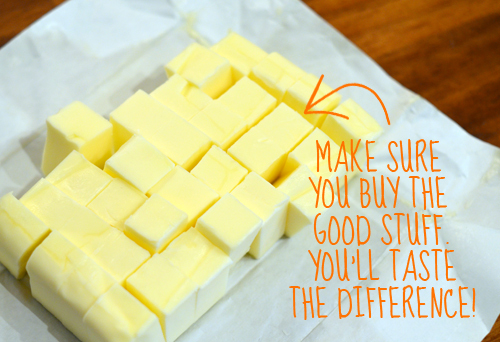 There may be streaks of butter that aren’t fully mixed in (that’s ok!). 2. 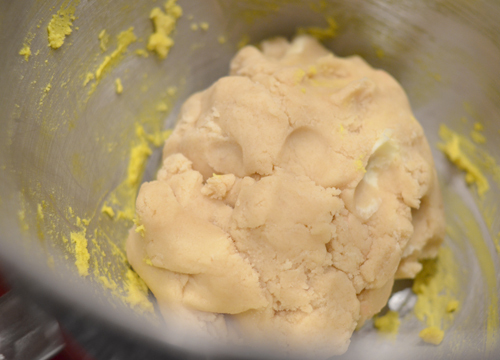 Transfer the dough to a work surface and divide into 3 portions–one small, one medium and one large. 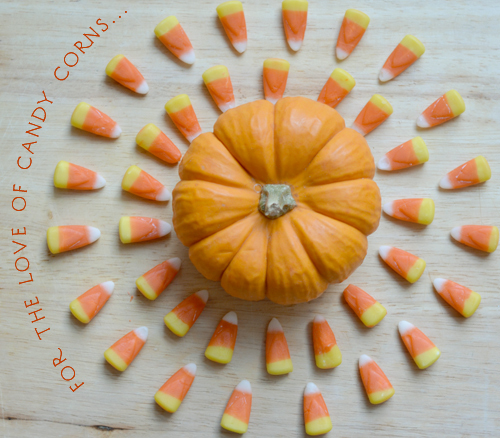 Set the smallest portion aside (this will be the white tip of the candy corn). 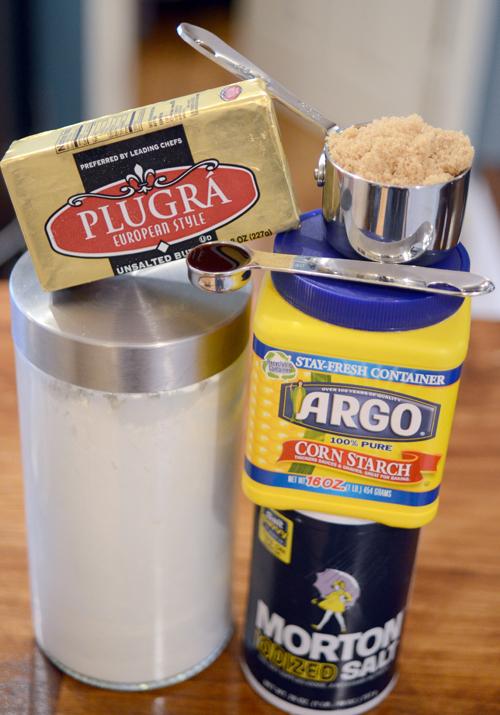 Place the largest portion in the standing mixer and add about 1/4 teaspoon of yellow gel food coloring. Add more depending on how vibrant you want your yellow to be. 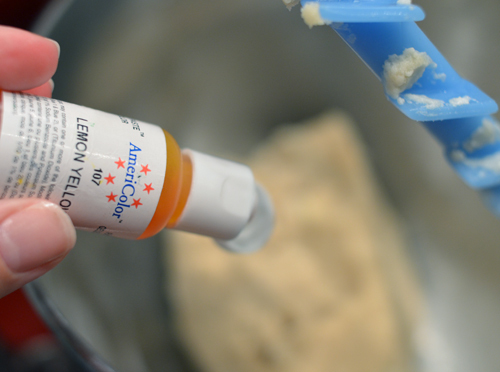 Transfer yellow dough back to the work surface. 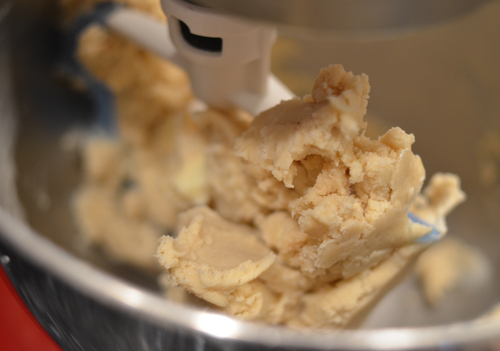 Without cleaning out your mixing bowl place the medium sized dough portion in the bowl. Add 1/4 teaspoon of yellow gel food coloring and a drop of red gel food coloring. 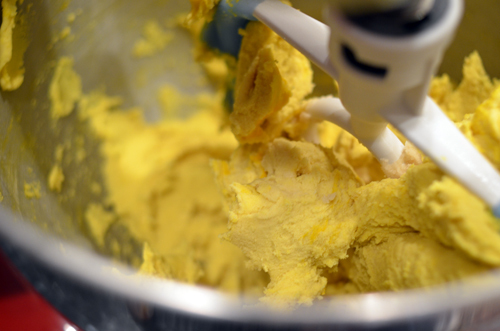 Mix until incorporated and dough is a bright orange. 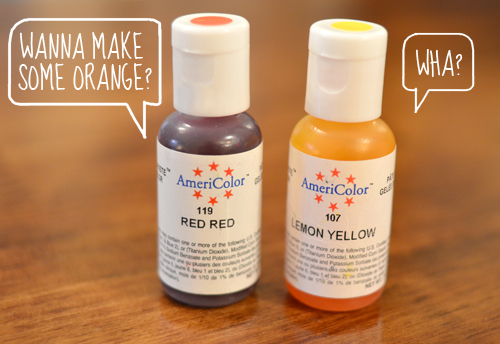 Add more depending on how vibrant you want your orange to be. Transfer the orange dough to your work surface. 3. Place the white dough in the middle of your springform pan, lightly press down with the palm of your hand to create an even circle about 3 inches wide. 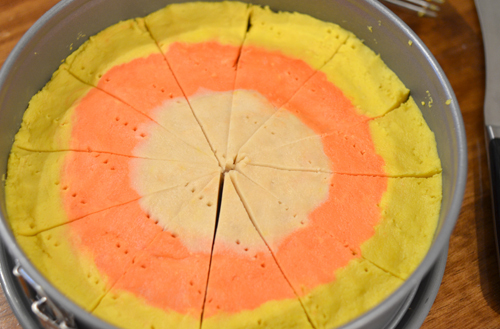 Wrap the orange dough around the white dough, leaving room for the outer ring of yellow dough. Lastly, wrap the final yellow layer of dough around the orange dough ring. Dough should now cover the entire pan. 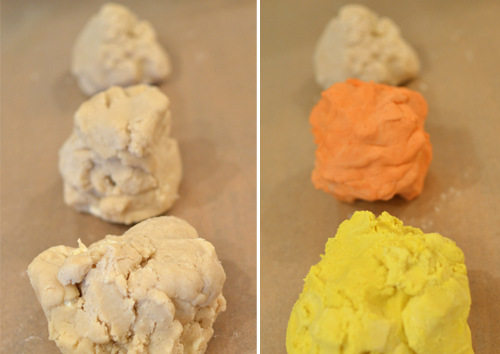 Use the palm of your hand to evenly smooth out the dough, making sure to keep the colors separate. Using a fork, prick the dough every 2 inches. Use a sharp knife to cut 12 even wedges in the dough. 4. Bake the shortbread until the top is light golden, about 1 hour. Use a small sharp knife to carefully cut through the pre-cut wedges. Cool the shortbread thoroughly in the pan. Remove the side of the pan and separate the cookies. 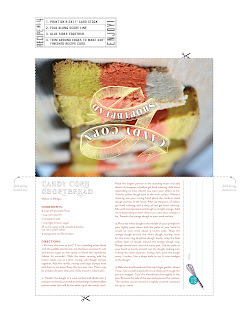 The cookies can be stored in a tightly covered container for up to 1 week.